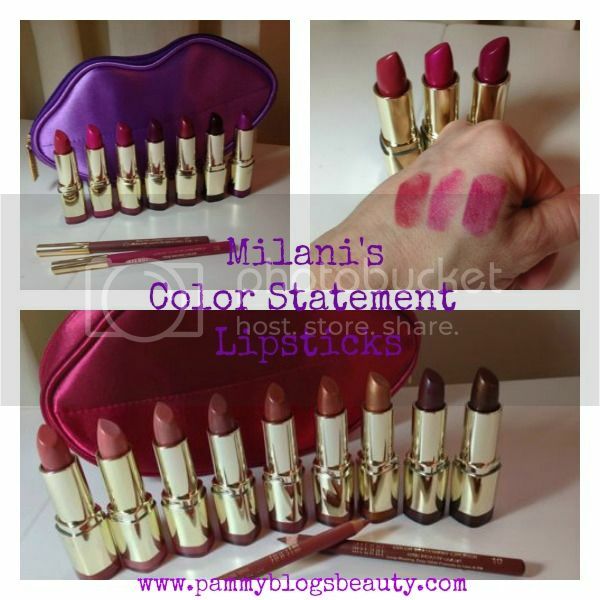 Have you seen the NEW Milani Color Statement Lipsticks? So far, I have reviewed the Reds & Oranges and the Pinks & Corals. Today we finish up the collection of Milani Color Statement Lipsticks with my final review in this series: the Plums & Berries and the Naturals & Browns. There is no question, I have completely fallen in love with the formula, pigmentation, selection, and packaging of these amazing lippies! The color is just so saturated!!! I am excited about these two color collections. While shades of Plum & Berry may scare some, with my neutral-cool coloring, I find that these types of shade are extremely flattering on me. As far as the Naturals & Browns, these shades are just so "wearable" for everyday! 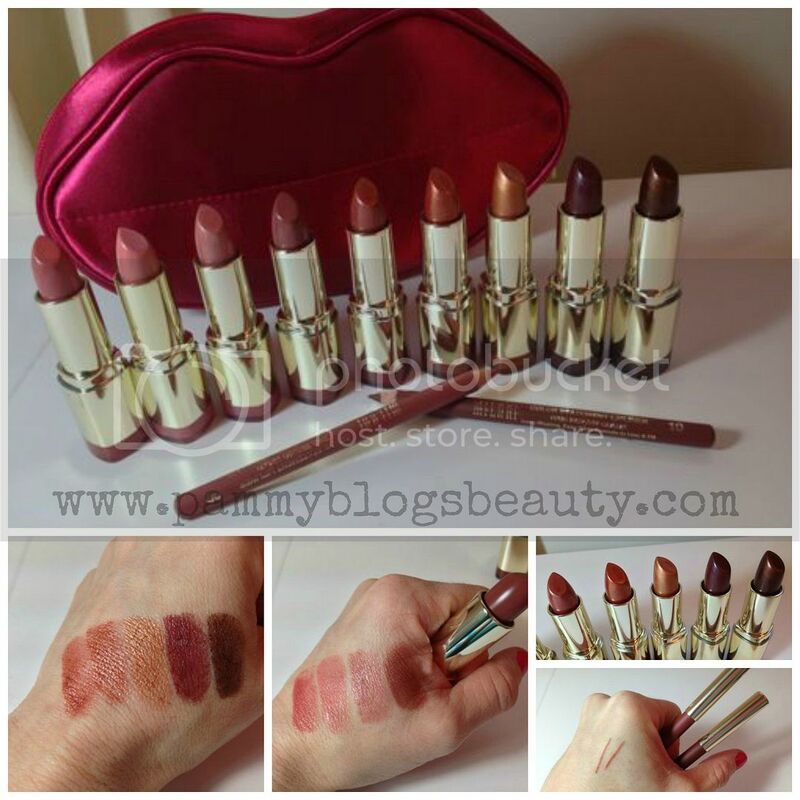 The new Color Statement Collection from Milani contains 30 lipsticks and 8 lip liners. The Lipsticks are categorized into 4 distinct color families: The Reds & Oranges, the Pinks & Corals, the Plums & Berries, and the Naturals & Browns. This next generation lipstick gives the ultimate in color, texture and finish. The lightweight creamy formula contains Vitamins A, C, & E to moisturize and nourish lips. I think the biggest standout characterisic, across the board, with this collection is the lipstick's amazing pigmentation. I am completely impressed with how one swipe of any Color Statement gives you full coverage in one coat!!! Plus, these lipsticks are long wearing and extremely vivid. Seriously, I might have found a new drugstore favorite for lipsticks (or at least a tie with Revlon!). Satin color in one stroke application. This next generation lipliner is a long-wearing, easy-glide formula to line & fill-in your lips. Paraben-free. I just love how creamy and smooth these liners are! Actually, it makes me realize that most of my other lip liners in my makeup collection are actually on the dry and waxy side. I just love the way these apply! So smooth and pigmented!!! Like the lipsticks, you get full coverage in one sweep! 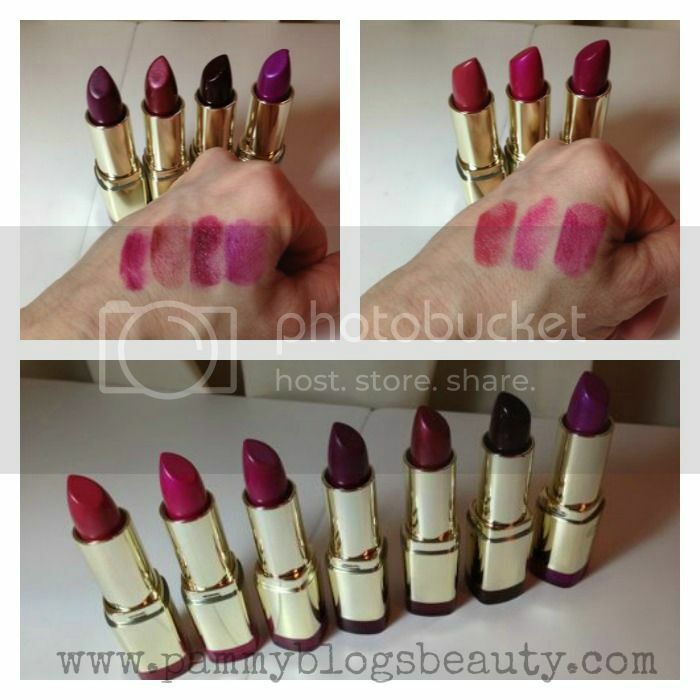 These lipsticks retail for only $5.49 each and they are sold at CVS, Walgreens, Walmart, Kmart, and Target. Want to learn more about Milani? Check out some of my other previous Milani product reviews here: Milani's Baked Blushes, Milani's New Compact Foundations, Milani's Illuminating Powder, and Milani's Single Eyeshadows. Thanks for the swatches! So many great colors to choose from.